Guinness World Records’ most prolific record breaker Ashrita Furman and members of the Sri Chinmoy Centre celebrated what would have been meditation teacher Sri Chinmoy’s 85th birthday by attempting to break the record for Most candles on a birthday cake. 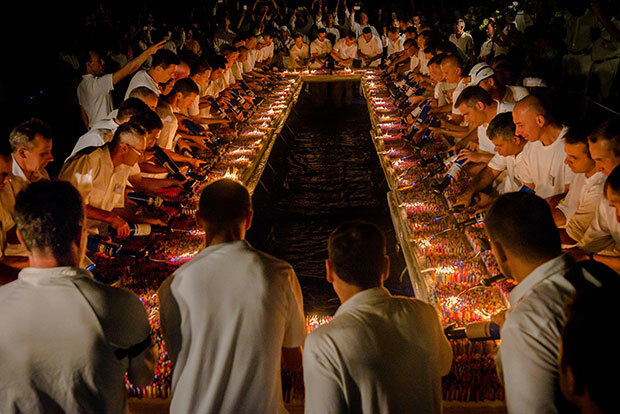 A staggering 72,585 candles were lit and remained burning for about 40 seconds, ensuring that the previous record went up in flames. 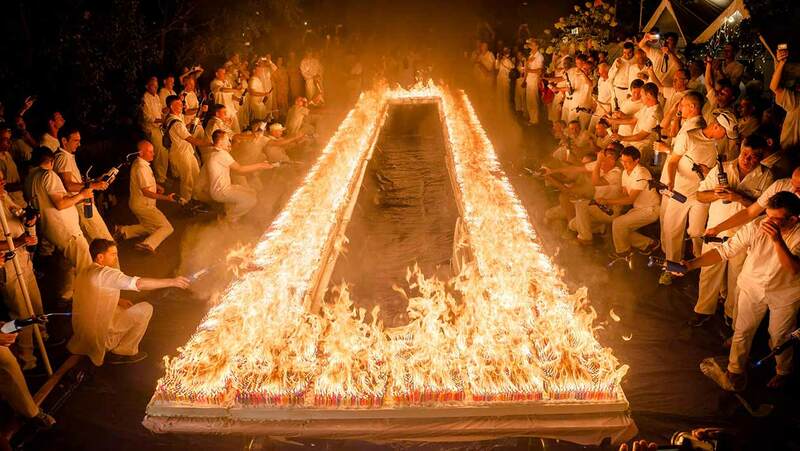 Taking place at the Sri Chinmoy Centre in New York, a team of 100 people worked together to make the cake, individually place each candle and then light them with 60 blowtorches. The sponge cake was filled with vanilla mousse and created in the shape of a huge rectangle measuring 80.5 ft long and 2 ft wide. There were far too many candles for anyone to blow out in the traditional manner, so the candles were put out with CO2 fire extinguishers (to ensure that the dessert was still edible afterwards). Can you still eat the cake after that?